Well after the past few months without posting a fishing report on my website I thought today would be the time to get it done. 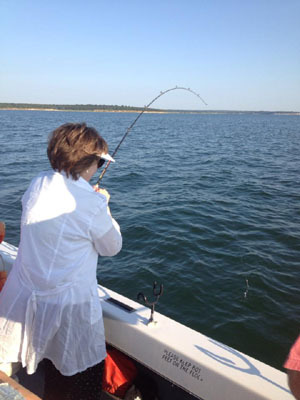 Most of what I've posted the past several months has been on my Facebook page Stripermaster Lake Texoma guide service. As of Thursday August 14th lake level is 611.98 and water temperature is 82 degrees. 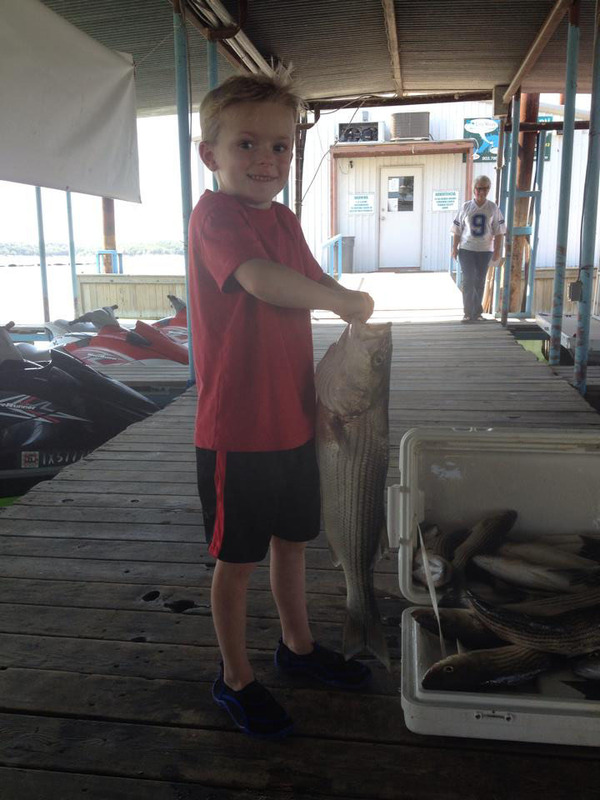 THe Lake Texoma striper fishing continues to be solid with some really nice stripers being caught. Although were not seeing the mega top water action or daily slab runs were use to seeing this time of year we are catching good limits with nice overs on live bait. In the 12 years I've guided I don’t think we've ever used gizzard shad this late in the summer,normally were using threadfin shad as the gizzards are our winter bait but if it works stay with it.The stripers are on the move so I'm working river channel ledges from 40-60 feet of water and when they come thru its game on.Mainly fishing from Highport to Washita point just looking at the ledges until I find a good concentration of fish setting anchor and letting them come to me.The lakes been pretty busy the past few weekends so be careful and courteous to your fellow boaters and if you want to get out and try some of our awesome striper fishing on Texoma give us a call and we’ll put you on them. Although were not seeing the mega top water action or daily slab runs were use to seeing this time of year we are catching good limits with nice overs on live bait. In the 12 years I've guided I don’t think we've ever used gizzard shad this late in the summer,normally were using threadfin shad as the gizzards are our winter bait but if it works stay with it.The stripers are on the move so I'm working river channel ledges from 40-60 feet of water and when they come thru its game on.Mainly fishing from Highport to Washita point just looking at the ledges until I find a good concentration of fish setting anchor and letting them come to me. 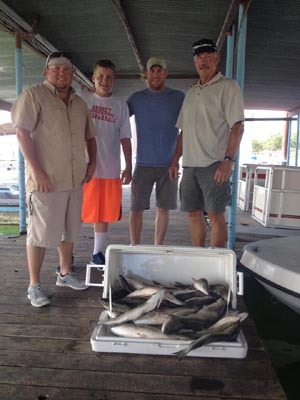 The lake has been pretty busy the past few weekends so be careful and courteous to your fellow boaters and if you want to get out and try some of our awesome striper fishing on Texoma give us a call and we’ll put you on them.